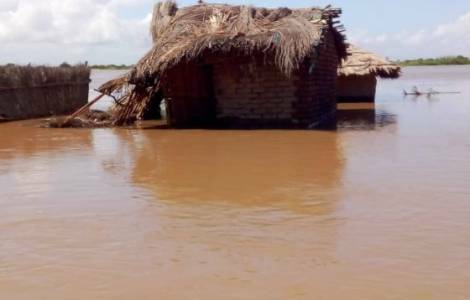 A violent cyclone called “Idai” has hit three African states, Mozambique, Zimbabwe, and Malawi, where it has killed at least 157 people in a provisional toll (126 between Mozambique and Malawi, 31 in Zimbabwe), left hundreds more missing and stranded, Fides News Agency reported March 18, 2019. The effects of bad weather affect more than a million and a half people, according to UN figures and official government sources. The typhoon is classified as category 4 hurricane strength, it manifests itself with intense rains and consequent flooding of the watercourses, while the gusts of wind reach even 170 kilometers per hour. Rural areas are the most affected, with tens of thousands of isolated people, destroyed roads, bridges and homes, no electricity or communications. In Mozambique, where the cyclone struck on the evening of March 14, the greatest damage was recorded in the city of Beira, where more than 500,000 residents were blocked by floods, electricity was cut off and the airport was closed. According to the government’s first estimates, at least 600,000 people are affected throughout the country, including 260,000 children. On the weekend of 16/17 March, the cyclone moved to Zimbabwe, where about one and a half million people were in areas at risk. Zimbabwe’s president, Emmerson Mnangagwa, declared a state of emergency in the affected areas. According to government data, in Malawi, more than 922,900 people have been affected in 14 districts, of whom 460,000 children.